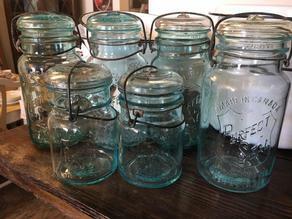 Just picked up this lovely bunch of vintage sealers with the glass lids. Warm blue glass. Priced at $15 and $12.